ENGAGE issued a call to participating schools to share their E³s lesson plans with the rest of the world on the ENGAGE website. These E³s lesson plans have been downloaded more than 100,000 times since 2011. 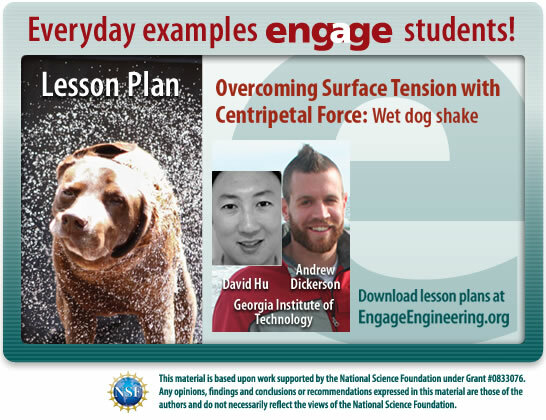 Faculty who submitted popular lesson plans are acknowledged through inclusion in the ENGAGE Everyday Examples in Engineering Postcard Series. 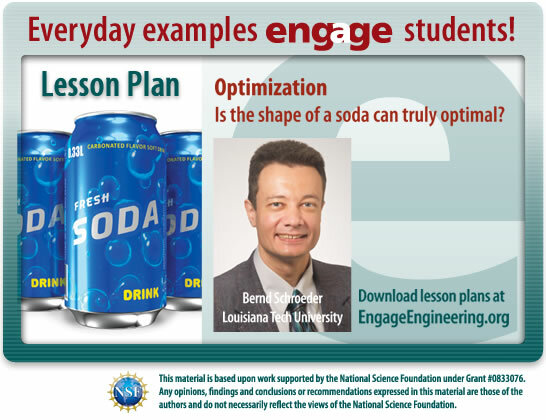 Click on a lesson plan image below to download the lesson plan.